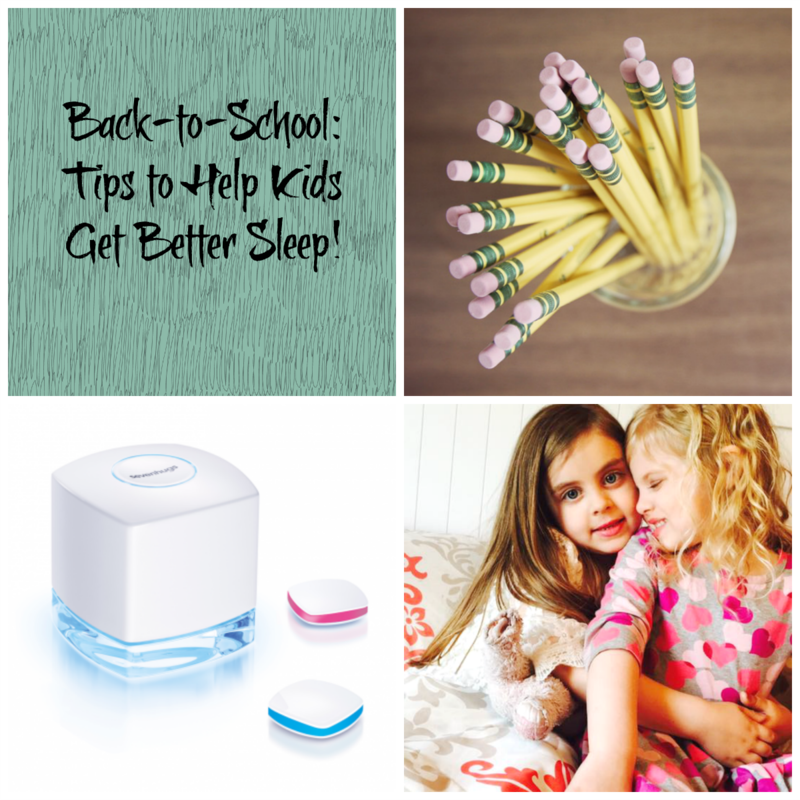 Tips and Guidelines for Better Quality Sleep Routines for Families with Kids! Families across the nation are now transitioning kids into back-to-school bedtimes and good sleep routines. Quality sleep makes a huge difference in how kids learn and function daily. Lack of adequate sleep is linked to an increase in injuries, obesity, diabetes, depression, self-harm, and even increased suicidal tendencies among teens. With a few tips and tricks, parents can help kids establish good sleep habits for a healthy and productive start to the new school year! 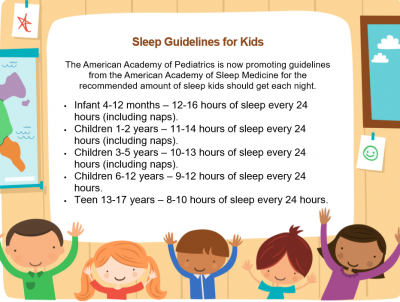 The American Academy of Pediatrics is now promoting guidelines from the American Academy of Sleep Medicine for the recommended amount of sleep kids should get each night. 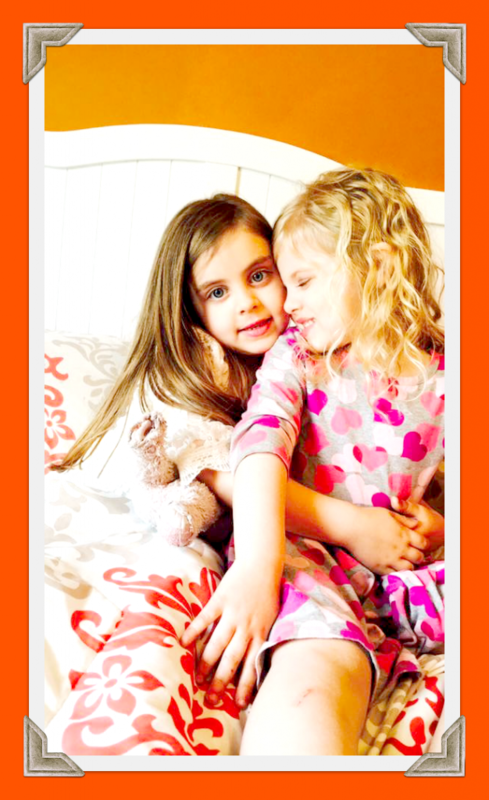 Print the Sleep Guidelines for Kids as a reminder for your own family. Infant 4-12 months – 12-16 hours of sleep every 24 hours (including naps). Children 1-2 years – 11-14 hours of sleep every 24 hours (including naps). Children 3-5 years – 10-13 hours of sleep every 24 hours (including naps). Children 6-12 years – 9-12 hours of sleep every 24 hours. Teen 13-17 years – 8-10 hours of sleep every 24 hours. When kids get the recommended amount of sleep, their bodies can perform important functions that can only be done during sleep. Kids who are well-rested also tend to have better behavior, improved learning and memory, better self-regulation skills, and are physically and emotionally better equipped to handle daily life. Parents tend to think that kids can make up for the lack of sleep at another time. It doesn’t usually work that way. Kids’ bodies tend to get overstimulated by increased amounts of adrenaline and cortisol (hormones that stimulate the body). Those hormones often keep kids awake, cause nighttime waking, or even cause early waking in the morning. Lack of sleep cannot be made up the next day by sleeping later or napping longer as it throws off the natural rhythms of the body. Consistent bedtimes (and wake times) are the only way to keep the body’s internal clock regulated for healthy sleep. Disclosure: this post and others within this blog may contain affiliate/sponsor/or distributor links. Please see the ABOUT page for full disclosures. Turn off ALL screens 30 minutes prior to bedtime. Light stimulates wakefulness and will make it more difficult to fall asleep. Establish a family charging station that is OUTSIDE of the kids’ bedrooms. Establish a regular bedtime routine 30-45 minutes before bedtime: bathe, put on pajamas, brush teeth/hair, read and relax at the end of the day before bed. Use of a sleep tracking monitor, like hugOne, will provide input on kids’ sleep patterns so families can adjust bedtimes or routines as necessary. Use of the hugOne smart alarm will help kids wake up on a consistent schedule to keep the body’s internal clock functioning well. Keep temperatures and humidity levels at home consistent for good sleep. When kids’ bedrooms are too hot or humid, it is more difficult to relax and rest well. 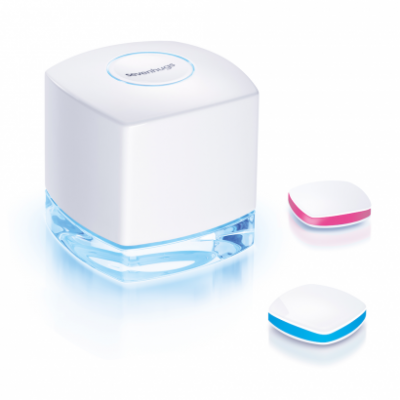 The hugOne sleep monitor will also auto adjust temperatures and humidity in the home for optimal sleep comfort. The hugOne sleep monitor offers important sleep information and the assistance parents need to help every family member get adequate sleep. With a little family discussion and preparation, parents and kids can establish back-to-school sleep routines for a great start to the new school year! « 30+ Science Explorations to ENGAGE Preschoolers in ACTIVE Learning!